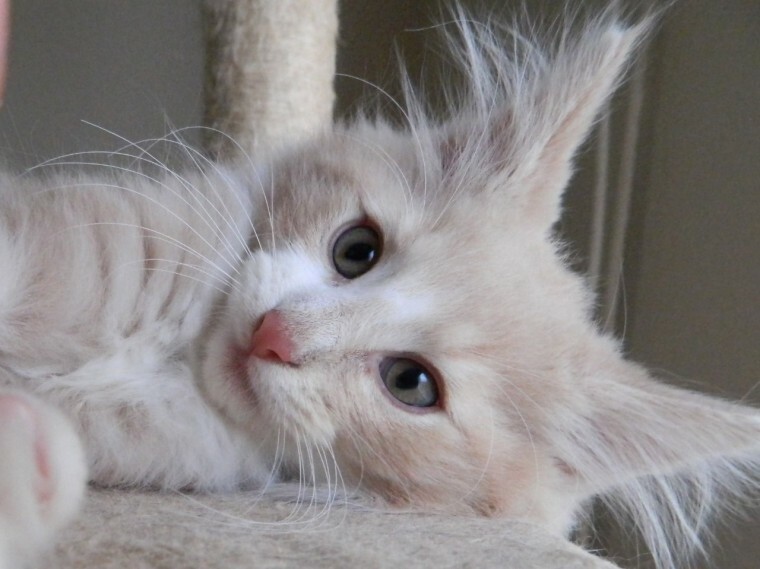 Hari is sweet and playful kitten. with lots of energy. Cream tabby and white boy. Mother is Vaidurya Ganga Mayi . Father is from another cattery. Imp gr Champion Noynarock Zac. Vaidurya is a TICA registered home.based cattery of Norwegian Forest Cat in County Durham. North East England. Norwegian Forest Cat is a pure. natural breed with fabulous qualities. The kittens blossom to stunning semi.long haired cats. Our kittens are for pet not for breeding. They raised with much love and attention. Kittens will be ready to go to new homes after 2nd vaccination first week of December. Only mother can be seen as stud is from an other cattery. Mother is registered with TICA. father is with GCCF. Please visit our blog .http...vaiduryacats.blogspot.co.UK. and website http...vaiduryacats.co.uk for more info and pictures of previous litters. Previous owners testimony can be found here. http...vaiduryacats.co.uk.testimonies.htm When you get kitten from us . the kitten is. Vaccinated . FE. insured for four weeks. microchipped. litter trained. wormed. flea treated. health checked by vet. a toy. bag of food. bag of litter. TICA registration can be arranged if the cat is neutered after reaching 6 months old.